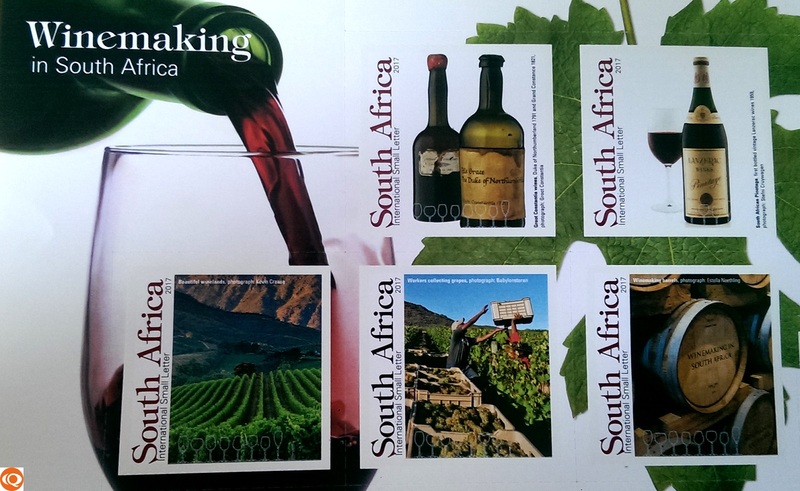 The South African Post published a set of five stamps about winemaking in South Africa, with every one of these stamps showing a different picture related to the topic. The first stamp shows a picture of the oldest wine estate in South Africa, called Groot Constantia. The stamp next to it displays the famous South African Pinotage wine and the other three stamps are showing pictures from beautiful winelands, grape picker and wine barrels.